Chocolate Pear Cake a moist easy to make Cake Recipe. Chocolate Cake topped with sliced pears and sprinkled with chocolate chips. 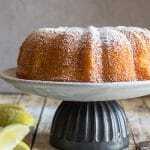 The perfect breakfast, tea or dessert cake. We used to have a pear tree and then we didn’t. If I remember correctly the poor thing got hit by lightening. When we did the Italian would bring home a bag of pears. And since I am the only one in the house that liked raw pears, I would always have to think of different ways to use up that bag. 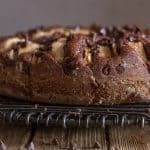 I would usually make my very popular Pear Cake, and sometimes this delicious Chocolate Pear Cake. I am not one for fruit in salad and yes I know everyone raves about it. Maybe I will give it another go this summer! But I do love chocolate, and I have to say so does the rest of my family, it’s a good thing, because if they didn’t, oh how they would suffer! 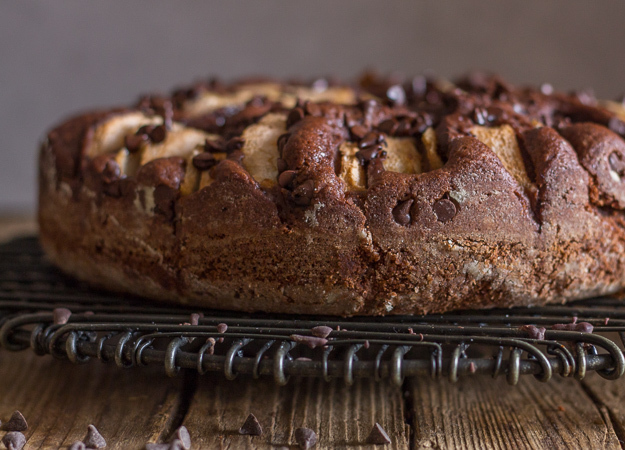 So this Chocolate Pear Cake has become one of our favourites. Even my youngest daughter who isn’t crazy about pears eats this cake up. What are the Best Pears for Baking. 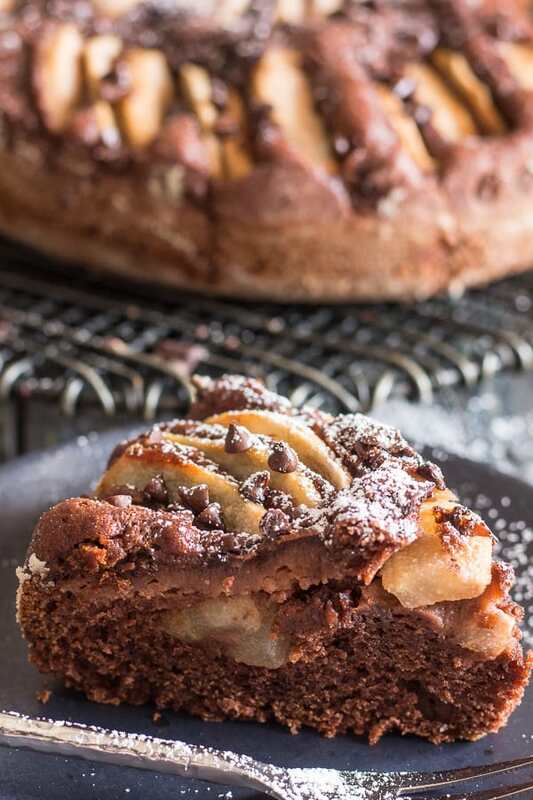 In Italy I always use a Williams Pear which is very easily found here, and I find it perfect whenever I make a cake, although I do usually purchase them when they are ripe but on the firmer side. To creamed mixture alternately add dry whisked ingredients and yogurt mixture. Top with pear slices, cut side down. 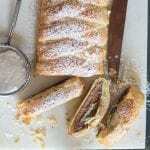 Let cool, then dust with powdered sugar and serve. More Chocolate Cakes to try. 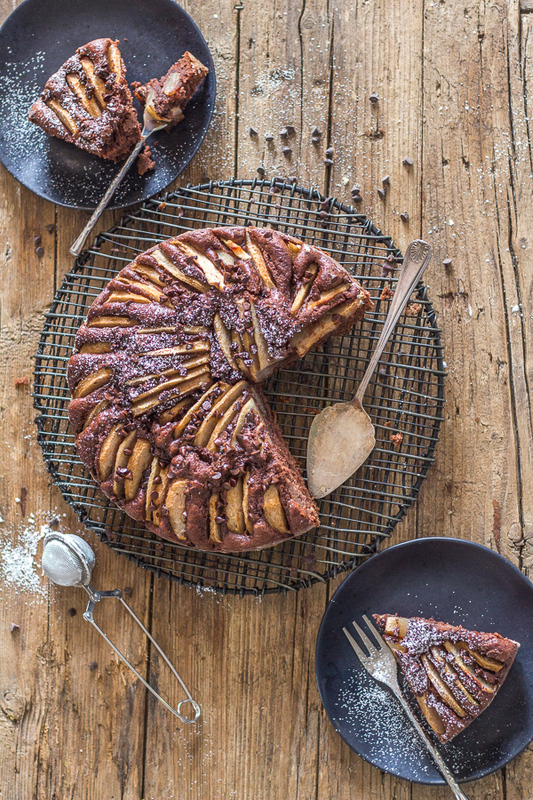 So if you are looking for a Chocolate Pear Cake to make and serve as a dessert, snack or even a Breakfast cake I hope you give this Cake a try. And if you do, don’t forget to let me know how it turns out. Enjoy! 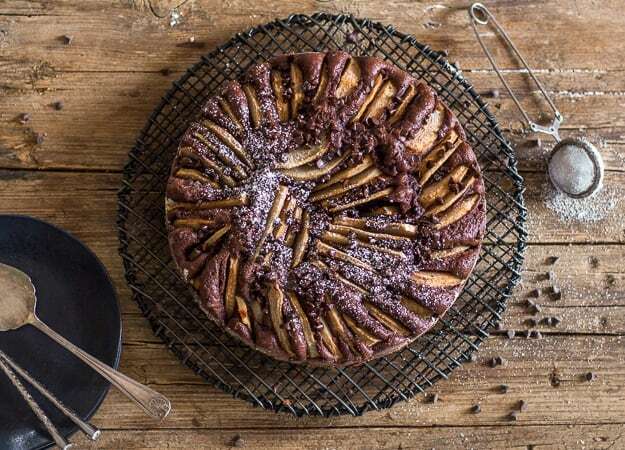 Chocolate Pear Cake, a moist easy to make Cake Recipe. Chocolate Cake topped with sliced pears and sprinkled with chocolate chips. The perfect breakfast, tea or dessert cake. Pre-heat oven to 350 F (180 C). Grease and flour a 9 inch cake pan. 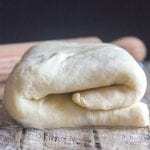 In a large bowl whisk together the flour, cocoa, baking powder, baking soda and salt. Mix together the yogurt and milk until combined, set aside. In a large bowl beat on medium speed the eggs, vanilla and sugar until light and fluffy, approximately 5 minutes. Then slowly add the vegetable oil and beat to combine. Alternately add the dry ingredients with the yogurt mixture. Beat to combine, approximately one minute. Pour into the prepared pan, top with pear slices (sliced side down). Sprinkle with mini chocolate chips. Bake for approximately 45 minutes or until toothpick comes out clean. Let cool then dust with powdered / icing sugar before serving. Enjoy! I baked it for 40 mind and it was still pretty dry. Yummy, but wish it hadn’t been so dry. Hi Sarah, yes a typical Italian cake is on the drier side, I think 1 egg and 2 yolks would make it moister. Im glad it tasted good though. I baked for 45 minutes, it was sooo dry. Did I do something wrong? Hi Angie, I imagine it was too dry because it was baked too long. Sorry it didn’t work out. Looks Delish! 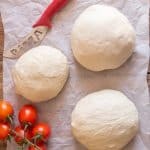 What kind of flour ? Do you know if maple syrup would work as a substitute for sugar? Hi Sinead, I used cake flour in the recipe. Apparently you can substitute maple syrup but I don’t know what the amount difference would be and you should probably cut down on the liquid in the recipe also by a tablespoon or two. 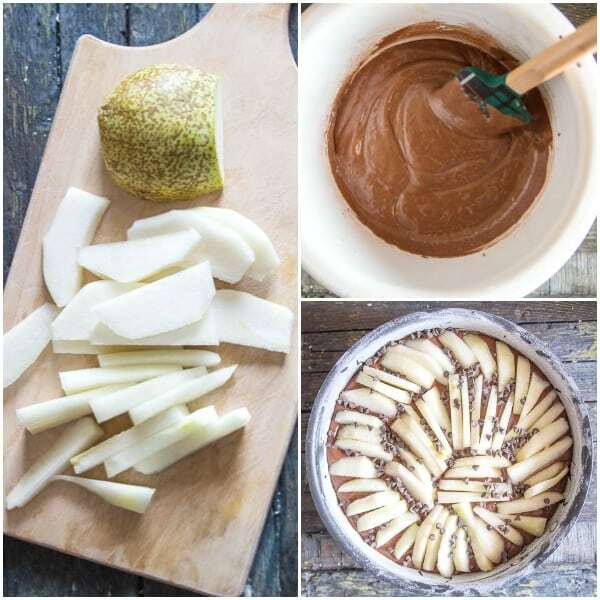 I love the combination of pears and chocolate, so this sounds absolutely delicious! I am saving this to make! Yum! Hi Gabby, thanks so much, I hope you enjoy it. Let me know. Such a stunning and delicious cake! Love the flavor combinations here!